Oh, now, this is fun. 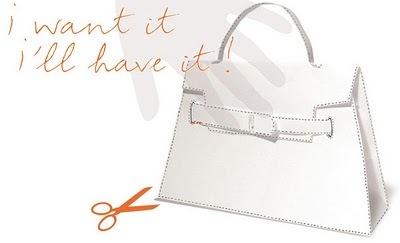 Make your own Hermes Kelly bag! Visit the Hermes website, click the little icon in the middle of the welcome page that looks like the above picture, choose one of eight Kelly bag templates, print, color, cut, fold, glue, and voila! You just made your very own Hermes Kelly bag.